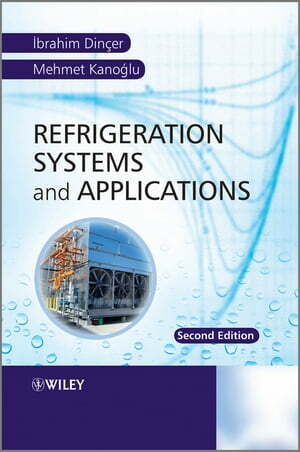 Collins Booksellers - Refrigeration Systems and Applications by Ibrahim Dincer & Mehmet Kanoglu, 9781119956709. Buy this book online. Refrigeration Systems and Applications, 2nd edition offers a comprehensive treatise that addresses real-life technical and operational problems, enabling the reader to gain an understanding of the fundamental principles and the practical applications of refrigeration technology. New and unique analysis techniques (including exergy as a potential tool), models, correlations, procedures and applications are covered, and recent developments in the field are included - many of which are taken from the author's own research activities in this area. The book also includes some discussion of global warming issues and its potential solutions. Enables the reader to gain an understanding of the fundamental principles and the practical applications of refrigeration technologies. Discusses crucial industrial technical and operational problems, as well as new performance improvement techniques and tools for better design and analysis. Includes fundamental aspects of thermodynamics, fluid flow, and heat transfer; refrigerants; refrigeration cycles and systems; advanced refrigeration cycles and systems, including some novel applications; heat pumps; heat pipes; and many more. Provides easy to follow explanations, numerous new chapter-end problems and worked-out examples as learning aids for students and instructors.